The penultimate volume in Hyperion’s four-part survey of the complete solo piano music of Erno Dohnányi focuses on music from the period when the composer’s pre-eminent position was being assured. The titles of the largest works here, Ruralia hungarica and the Variations on a Hungarian Folksong, mask in their nationalistic ostentation the skill of a true master of piano composition. 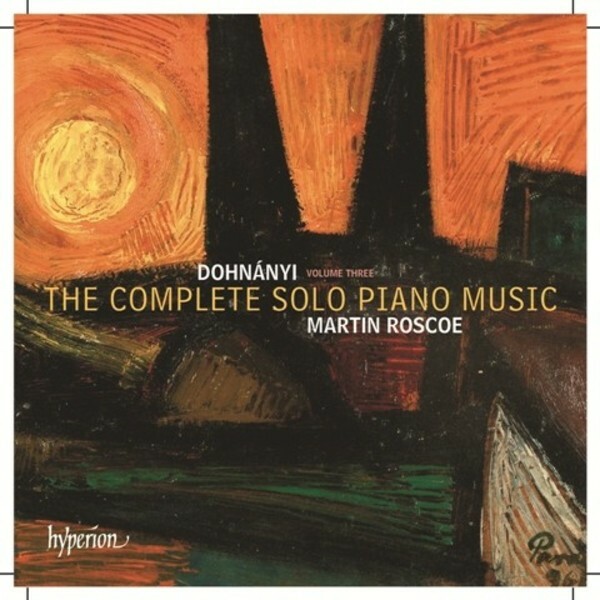 Martin Roscoe inhabits the world of Dohnányi’s music like no other - appraisals of the earlier volumes attest to this, and this new recording is a joy.